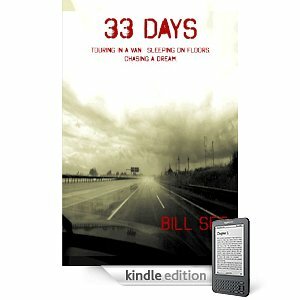 What 33 Days does offer is a glimpse of what life is like on the road for a struggling traveling band. In itself that’s an interesting tale, but See detracts from it by spending a bit more time than is necessary telling us about his off-and-on relationship with quasi-girlfriend Mary. It proves to be both distracting and tiring. The best moment in the narrative is when See explains, early on, the power of music. “Ever since I’ve known music, I’ve felt that my life could be lifted up by it.” This is admirable but the egocentric prospective winds up making this a band biography that is less than the sum of its parts. This reader came to feel as if only truly got to know two members of the band – the Paul McCartney-like Bill and the George Harrison-like Raj. It felt, in the end, as if something was missing. There’s a lot of buzz going around about Julie Compton’s new novel Rescuing Olivia, which will be released next month. So we decided to go back and read Compton’s first book, Tell No Lies, published in mid-2008. 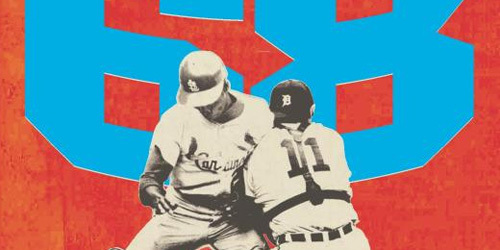 Lies is an excellent, excellent criminal justice system and family drama set in St. Louis. The main character, Jack Hilliard, is an assistant district attorney who’s happily married; his wife is an adjunct college professor and they have two boys. Life appears to be good for the family except that Hilliard is unfulfilled. 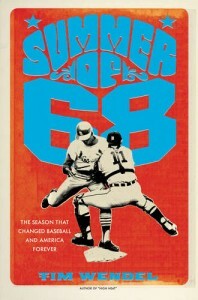 Suddenly everything changes at once for Jack… Earl, the District Attorney for the City of St. Louis decides to give up his office to earn some pre-retirement riches at a prominent private law firm. Although Jack is designated by Earl to be his successor, Jack struggles with the decision to run for the office. Doing so will mean that Jack will need to hide or obfuscate his personal anti-death penalty views at a time when the local public is seeking blood. Both Jack and his understanding wife Claire realize that moving from being an ADA to being the DA will turn their lives upside down… But this is a small tremor compared to the coming earthquake that will change the ground under Jack and Claire – leaving them virtually foundation-less. For years Jack has had a huge crush (“Can you be in love with two women at the same time?”) on the exotic Jenny Dodson, a mixed-blood civil practice attorney who turns men’s heads whenever she moves. Jenny, in return, loves Jack but isn’t sure she wants to participate in destroying his happy marriage and contented family. Against his better interests, Jack decides to involve Jenny as an officer in his campaign for DA which means he’ll regularly be in her company. Jack initially believes that he can control his feelings for Jenny, but then comes to see that she’s far more than a distraction. Jack, in fact, may love her to destruction. Jack eventually becomes the DA who may be Jenny’s only hope when she’s charged with the murder of one of her clients. But she had an alibi the night of the murder – one that involves Jack. Will Jack save his marriage or Jenny? Jack Hilliard is a person well liked and loved, but he’s often told that his flaw is that he feels that he must get what he wants in life. This is a story about the high price to be paid for getting what you want. The devil must be paid. Compton is a former federal agency trial attorney and the language of the criminal justice professionals in Lies comes off as true in tone. This is more of a gritty Prince of the City than homogenized Law and Order. Tell No Lies was such an impressive début for Compton that I am quite eager to get to Rescuing Olivia. 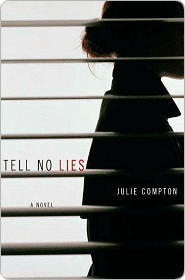 A review of Tell No Lies by Julie Compton.